The Palomino Hopper came about when a friend of Alan pulled the wings off daddies. Hook : 12-14. Short shank. Thread : To match body. Body : Suede chenille singed with a flame. Thorax : Dubbing to match chenille colour. Hackle : To match chenille colour. Legs : Knotted pheasant tail. 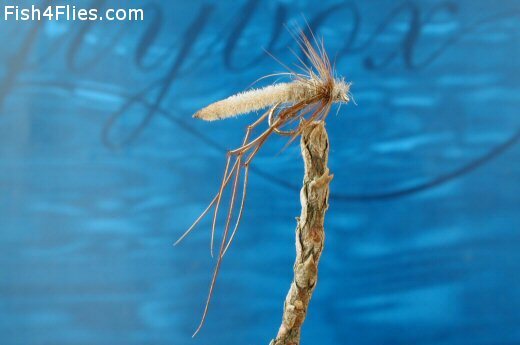 Currently there are no comments about the Palomino Hopper fly pattern from other fly fishermen yet.